First, navigate to the home dashboard for the campaign where you'd like to connect the Google Search Console integration. Then, click the "Gear" icon at the top of the page and select "Integrations". Scroll down to the Google Sheets integration and click "Connect". A window will pop up asking you to enter your user name and password for your Google account. Enter the user name and password of the account that has permissions to the Google Sheets account which you would like to connect. 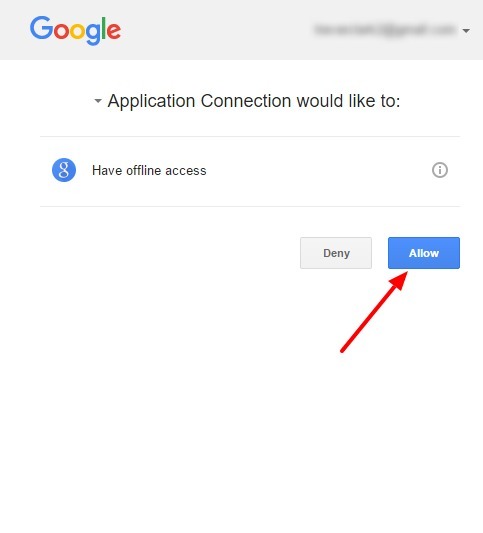 Next, you will see a screen which says "Application Connection would like to have |various permissions|". Click "Allow".